ARE YOU READY to welcome winter in the most Canadian way imaginable? Do you enjoy our famous block parties? 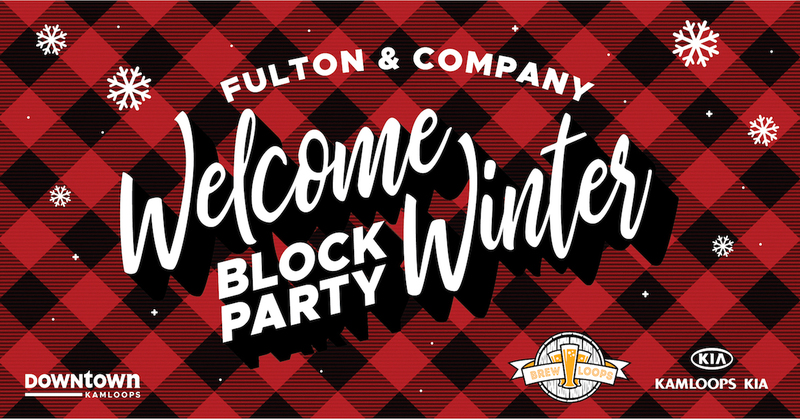 If you answered, “yes!” to both of those questions then don’t forget to mark your calendar for Saturday, Dec. 8 for The Fulton & Company Welcome Winter Block Party. Downtown Kamloops has partnered up with Fulton & Company LLP, Brewloops, Kia Motors Kamloops and Westkey Printing to bring the holiday cheer to the 300 block of Victoria Street. Festivities begin at 12 noon and end at 6 p.m. and this all-ages event will host a slew of activities. Live entertainment will pump up the jams while you play some ball hockey, try your luck at the outdoor games, and enjoy some craft beer and local wines. You can double up on the activities as well as the layers of clothes. Have we mentioned that admission is free? That would be good for you to know. Before, after and during the event, stop in at Downtown Kamloops shops to do some Christmas shopping and enter our Stuff your Stockings Campaign. Downtown Businesses are offering you the chance to win your Christmas gifts by simply filling out a ballot. You could win one of our weekly giveaway prizes of $500 in Downtown Gift Certificates and be entered to win our Grand Prize of $1000 in Downtown Gift Certificates. *See a list of our participating businesses at http://www.downtownkamloops.com. With so much going on Downtown, why not bring your friends, your flannel and holiday cheer to spend this weekend in the heart of our city, Downtown Kamloops? See you there! 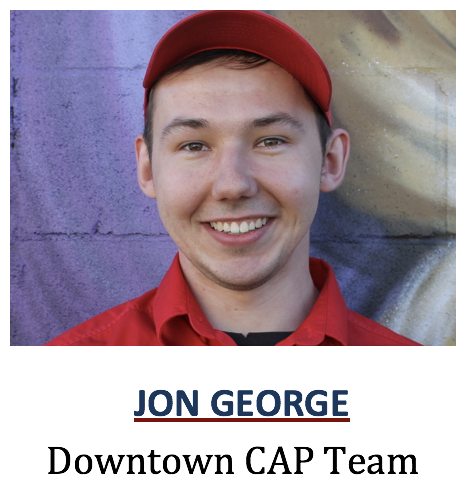 Jonathan George is a Customer Care and Patrol (CAP) Team Member. Reach the CAP at 250-572-3008/3009 or the Customer Care & Info Centre at 250-572-3017. Email capteam@downtownkamloops.com. Follow on Facebook, Instagram (Downtownkamloops) and Twitter (@downtownkamloops).